I meticulously designed and built a 7U/104HP case for about 2 years. I ended up with a system that I'm very happy with and using which I make music. Many of the modules I chose are very "modern", i.e. they're multi-functional and dense. I like it, tho. However, from the very beginning of my modular journey, I was drawn to the idea of single-manufacturer systems. Moreover, I like "one knob per function" gear. I also noticed that I more often reach out to modules that are "playable", i.e., have larger knobs, spacious faceplates and are clearly structured. Esthetics matter to me a lot, too: I like when a synthesizer looks like lab equipment, really. 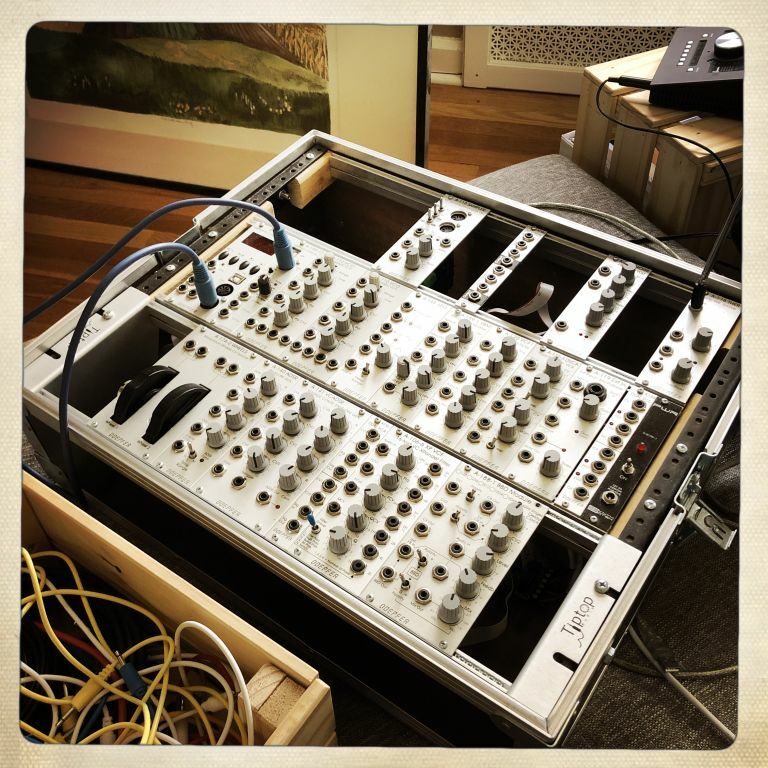 Long story short, I decided to sell off a few "spare" modules to finance a small-ish 6U/104HP Doepfer-only system, which I'd like to treat as a single instrument. Thereby, I will restrict myself to buying everything 2nd hand (often, used Doepfer modules sell for 50% of the original price). 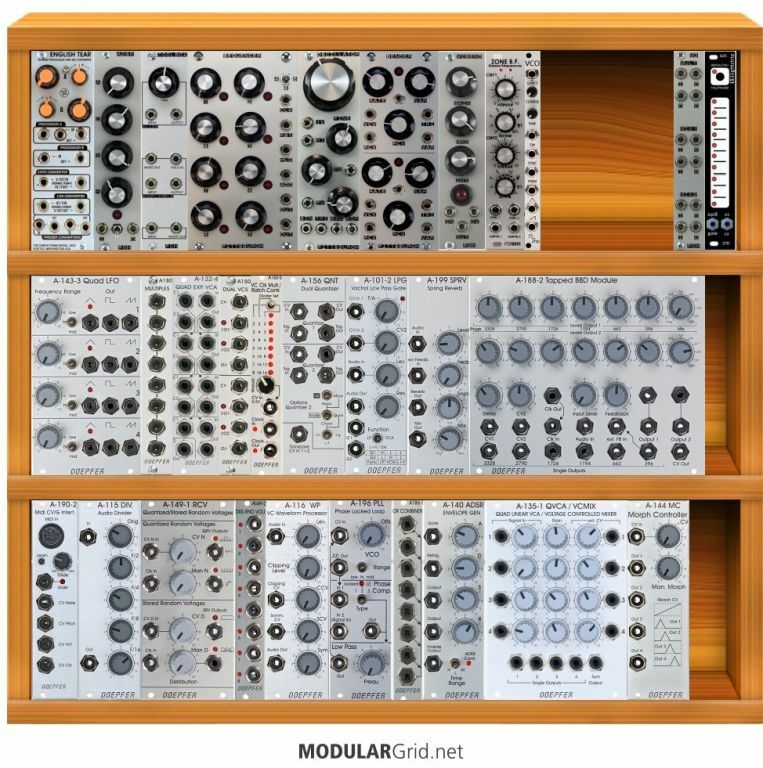 I already spent some hours on ModularGrid planning and refining, and I already got the first 5 modules, but I'd like to know whether there are other Doepfer-only systems out there, that you maybe built with similar ideas in mind. 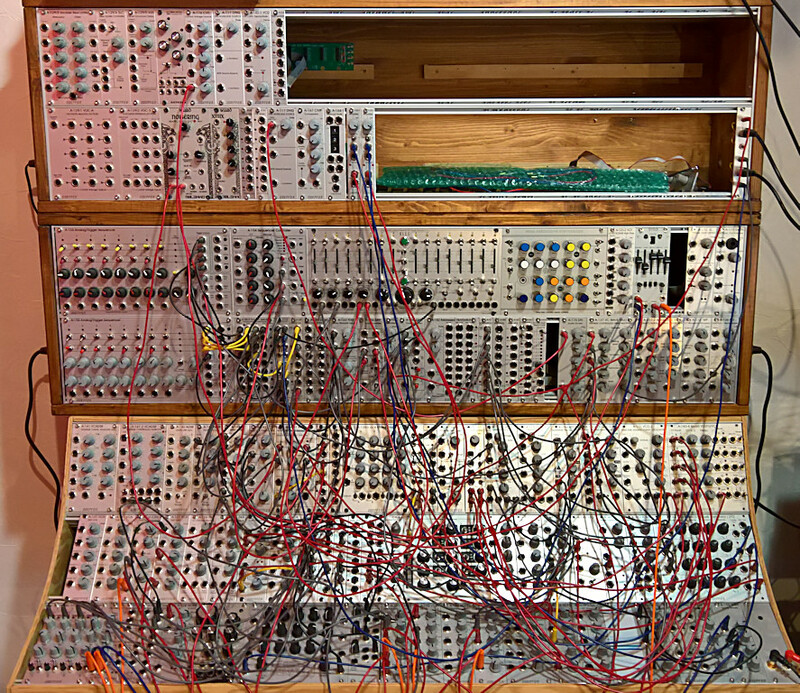 TL;DR: Show me your Doepfer-only systems, both photos and ModularGrid racks are welcome! It's based around 4 x A-110-4 VCOs fed into various waveshapers (A-137-1, A-137-2, A-136, A-116) and into 3 x A-101-2 LPG as well as various filters, including the vocoder. For modulation it's got everything from A-143-4, A-143-1, A-171-2 to A-149-1/2. A very complex, yet musical system. I like Doepfer for all the same reasons but i would never be so pure to make a Doepfer only system although it would be cool. 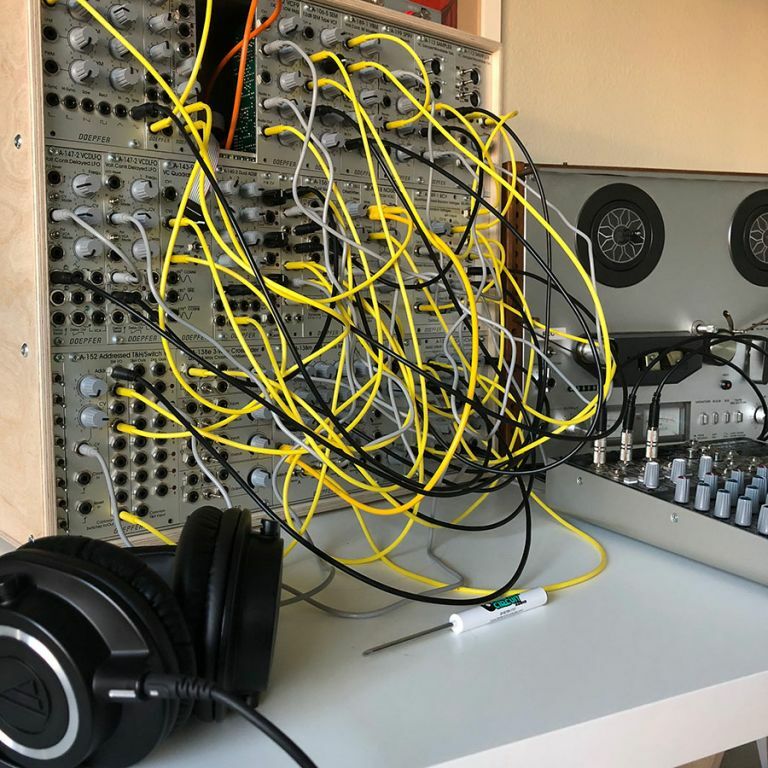 Imagine you have the 6U 104hp of Doepfer, just having a one module like a Plaits, Wavetable module, Morphagene, BIA, Disting, Radio Music, Grainy Clampit, etc etc. Just one of those modules will enhance your system. That one module would really shine with all that Doepfer modulation supporting it. the idea is to go back to basic building blocks and utility modules, and see if i can coax a compelling record out of these 'vanilla' modules. no fancy dsp, secret handshakes, any and all looping is done with tape etc. i have one week to build up a patch, satuday is 'performace' day and sunday is 'record' day, then the patch is written down and then ripped out and i start over again on monday. i am 4 weeks in, and already its been super rewarding. its been a cool teaching experience re: all the things that really deep modules do for you and makes you think creatively since it requires 3 or 4 modules to do what some new school modules do in one output jack. It's interesting you listed these modules Muff McMuff. These are all the things I personally dislike and wouldn't want to have in a system like that. The thing about Doepfer is immediacy. Each module has a single function, each knob does one thing. Modules such as Disting are the complete opposite of that! Also, not everybody has limited rack space. I personally prefer larger modules. Sampling and digital processors are better left for the computer. Pure Data, Max, Kyma - they are lightyears ahead. If you want analogue sounds there is pretty much nothing you can't do on a Doepfer system. Trust me, I own modules from Verbos, Make Noise, Malekko etc. Doepfer tends to be a little bit more expensive, takes up much more space, but is flexible like nothing else. Due to these reasons it's not very practical in a live situation, but in the studio you can't beat the immediacy of such system. But I do understand that we all have different tastes. That's what's cool about modular. i have one week to build up a patch, satuday is 'performace' day and sunday is 'record' day, then the patch is written down and then ripped out and i start over again on monday. i am 4 weeks in, and already its been super rewarding. its been a cool teaching experience re: all the things that really deep modules do for you and makes you think creatively since it requires 3 or 4 modules to do what some new school modules do in one output jack. I do like the idea of a doepfer only system. I had one for quite some time before I expanded my basic system. There is something to be had for modules which solely focus on one function and patching them together to make complex results. Compared to a lot of modules today, it's like going back to assembly after messing around with python. 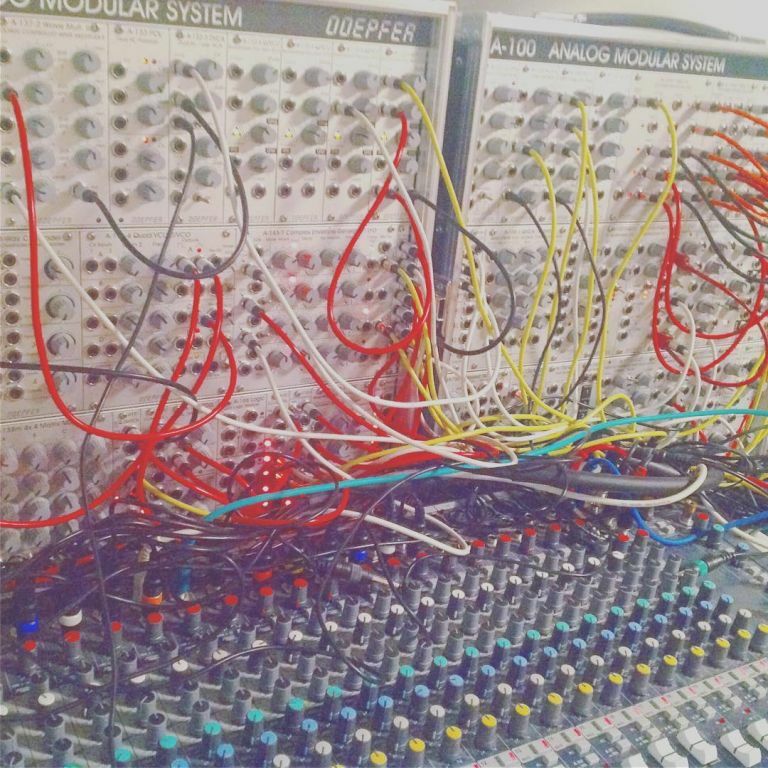 I mean I do like a lot of digital modules and such, but something like Rings does not teach me modular synthesis in a way that patching up a karplus strong patch from scratch would. Some Doepfer modules should reside in any system. Modules like a-150, a-151 dual and quad sequential switch. I also have and like the a-106-5 sem filter, the A-120 filter and the very cool a-124 wasp filter. I also use a-130 and a-131 VCAs quite a lot. Oh, and a-149 although I have had 3 of them die on me, almost immediately. not sure why. *I like to leave it setup and invite my young grandson to randomly patch it. Doepfer modules are great but it takes me ages to work out which one I need to plug into as they all look the same - and I only have 5 of them, if I had a full rack I'd never get anything done. well, still working that out ha, since thats part of this whole project anyway. sometimes its randomly with 149-1 > 156 or sometimes its (non)sequentially via dc from the 138m > 152 > 156...or sometimes i'll just play it with a cv keyboard like a monosynth. just depends on what i'm working on that week. This is a great thread. I made the move to all Doepfer a bit ago because I just preferred a lot of the work I had done in the past with a smaller, simpler system. Most of my early Euro was Doepfer, and going all-Doepfer is just a convenient way to stop the endless optimizing. The “small” part is harder; I started with 9U 84hp and am whittling down, trying to end up in 9U 72 or 66hp. I really like the tightness. The thing I’m wrestling with most is whether to spring for the new A-190-5; I only have two VCOs in the case currently but it just looks more convenient than my current A-190-4 + 190-3 setup. Thank you so much for your posts, guys - keep them coming! I have 11 Doepfer modules, more than any other manufacturer, so it easily qualifies as the backbone of my system. Still, I don't have a Doepfer VCA or sequencer, so at this point even a Doepfer only patch isn't really practical for me. I've rearranged and purged recently, and ended up with my 6U all Doepfer, and the 3U almost all Pittsburgh. Aesthetics do count for me - "if it ain't gray, it don't play". The 6U isn't really playable without the skiff (except karpluss-strong, or filter/reverb resonant noises), because there is no VCO. 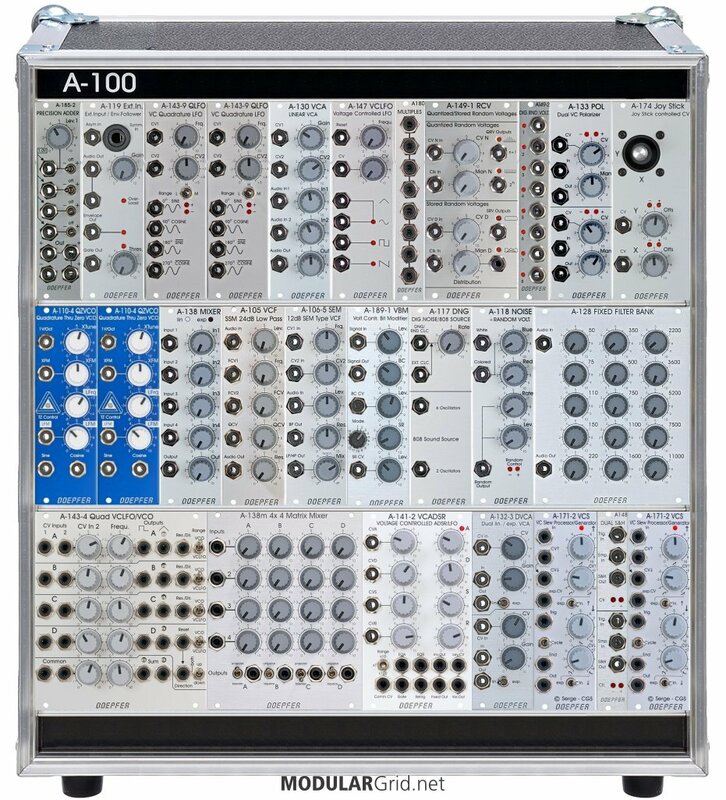 But my current plan is to get a 9U or 12U case and start going all Doepfer. I love this approach! Very inspiring. Yeah, jwm are you planning a release? i am...but, due to the nature of this idea, this could go any number of ways (especially sideways if i end up with 52 weeks of terrible material.) for example, this week's patch is definitely not one of my favorites so far. loosely in my mind, the plan was to take all the material at the end and use that as the build blocks for more concise pieces (ie song 'x' includes material from weeks 2, 9, 23 and 50), then regardless of what format it ends up in, i'd like to assemble an accompanying book that includes all my patch notes (down to the knob settings) and personal notes about the process...so that in theory someone could come behind me, with the exact same system, and recreate each week's patch (or at least as close as possible given some of the circumstances) if they felt so inclined. but we'll see. its entirely possible that i'll get to the end of all this and decided that in fact no, i can't put together material worth releasing, which is fine too...not every experiment yields positive results, but all experiments propel one closer to the end goal of understanding and comprehension. That's really, really cool. I keep pretty detailed patch notes and could probably provide that with a release, but definitely don't have forthcoming material that would make it worth it to reach that lol. Really cool lfo I think. I only have a few doepfer modules but they’re pretty cool! I am really pleased at the moment with a new doepfer buy. The quad vca mixer! This thing is worth looking at. I’d like a few more of his modules too! I love my 135-1, 147-2. Also 141-2 and 143-1 have so much versatility from simple oscillations to complex rhythmic patterns, gate delays etc.